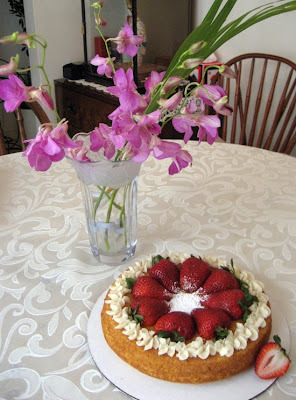 Rum cake and the delicate orchid -- an unlikely pairing, right? This odd couple makes for quite the photoshoot, however! When one thinks of rum cake, this probably comes to mind: a bundt whose plain and unpretentious appearance serves as a perfect cover for a big wallop of boozy, buttery flavor. 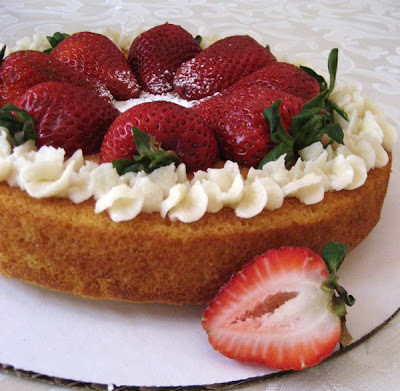 Well, whoever said that rum cakes couldn't be pretty too? 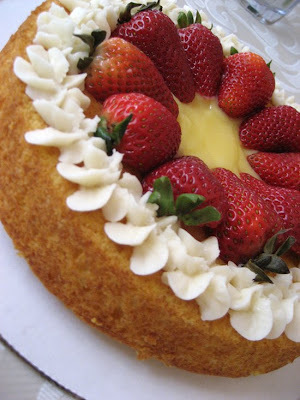 Throw in some berries, buttercream, and a vase of fresh orchids, and take this popular classic from pirate ship to runway. 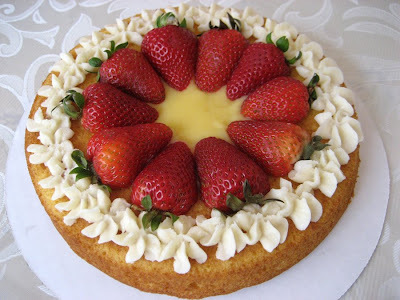 Here we have a single-layer rum buttercake with vanilla rum buttercream frosting florets, fresh strawberry halves, and a vanilla rum custard center. 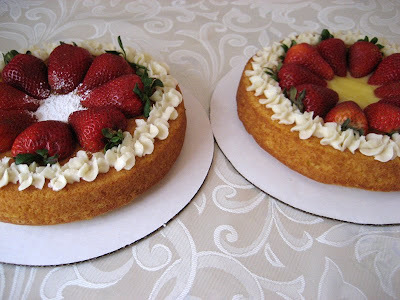 Now here's an almost identical rum cake, but with a dusting of powdered sugar instead of a vanilla rum center. Ah, throw in some fresh flowers for added color and pizazz. And here they are, side by side. Don't be fooled by their sweet exteriors -- these dolls pack a rummy punch!